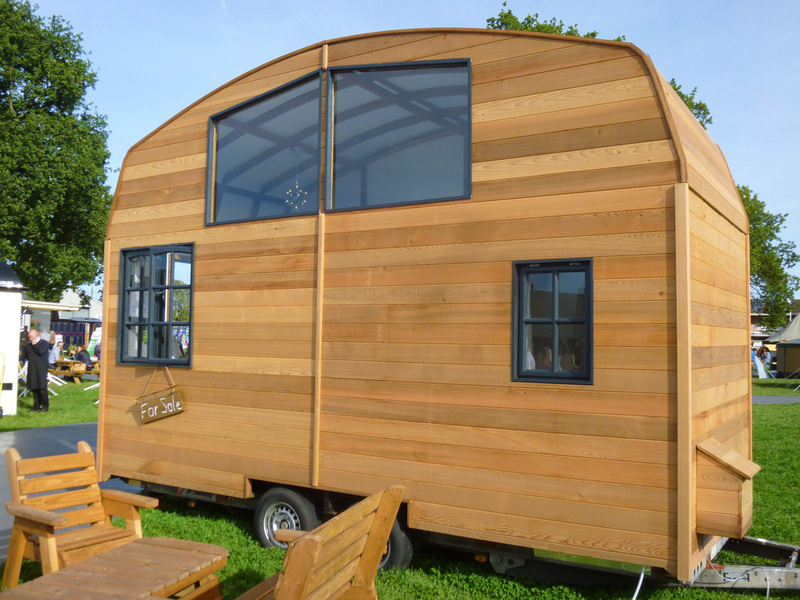 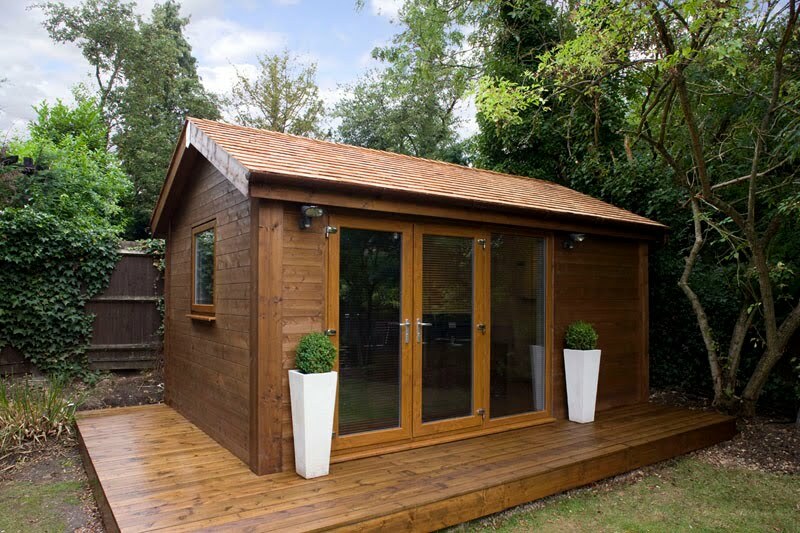 The Lumber Loft comes from Mark Burton's Tiny House UK and was on display at the latest The Glamping Show. "After last year's show," said Mark, "I noticed lots of visitors mentioning that they had a glamping site or farm with lovely views over hills, field, lakes, streams or the good old British countryside. 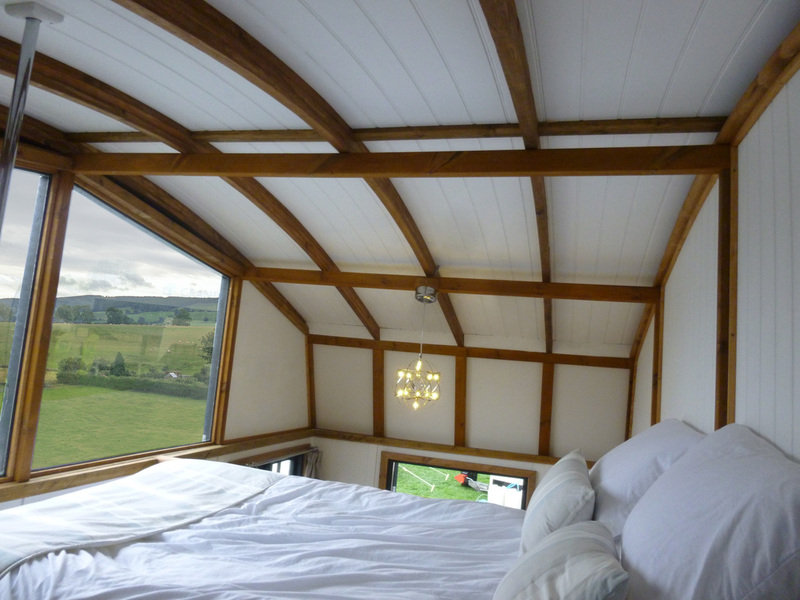 This is why we built this one off design with my usual lofted bed area but with large windows to soak up the view." 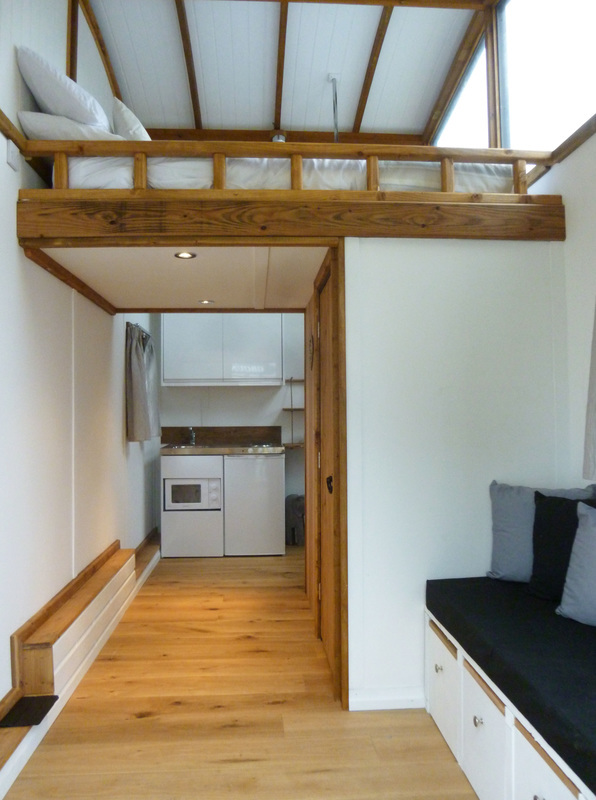 Nicknamed The Lumber Loft, it is 16ft long and built on a 2.7 ton chassis. 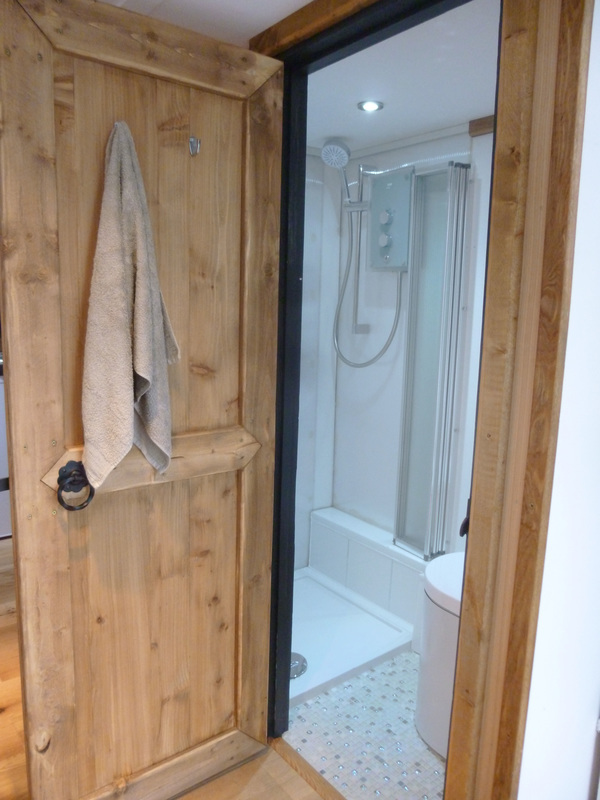 The kitchen is a free standing unit, and there is also a modern composting WC. The whole thing has hardwood flooring and is fully insulated with outer walls clad in Western Red Cedar.